I thought it would be fun to explore the use of mushrooms in popular culture as a continuation of the discoveries I made so far based on John Allegro's book. 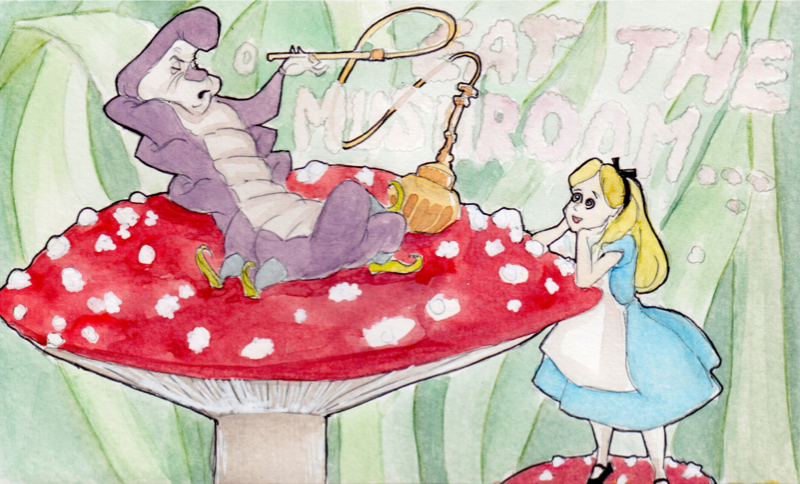 One of the most obvious is the story of Alice in Wonderland when she meets the caterpillar smoking a hookah on top of a mushroom. He tells her that one side of the mushroom will make her grow while the other one will make her shrink as an effect from ingesting it.